Oh how I love a rational number! In mathematics, a rational number is any number that can be expressed as the quotient or fraction x/y of two integers, a numerator x and a non-zero denominator y. Every integer is a rational number! That's a lot of numbers. 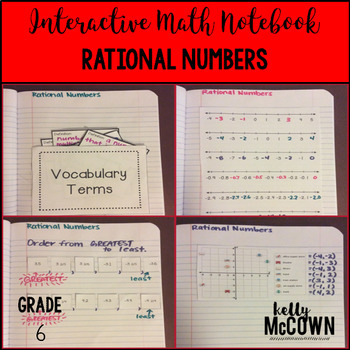 To get students engaged in Rational Numbers I have used many different activities. 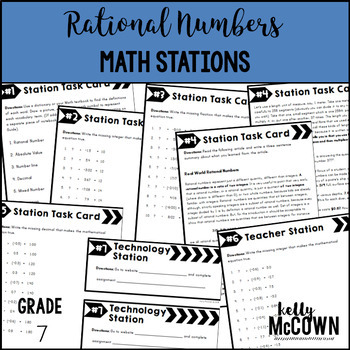 Here are some of my favorite activities for teaching Rational Numbers. This math station activity is intended to help students understand a rational number as a point on the number line. Students will also extend number line diagrams and coordinate axes. Students will also understand ordering and absolute value of rational numbers. 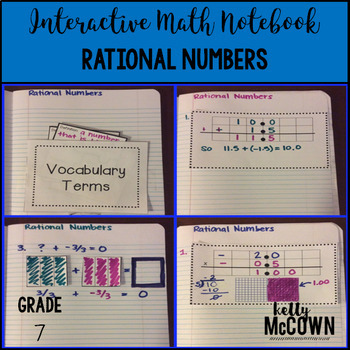 These interactive notebook activities are intended to help students understand a rational number as a point on the number line. Students will also extend number line diagrams and coordinate axes. Students will also understand ordering and absolute value of rational numbers. 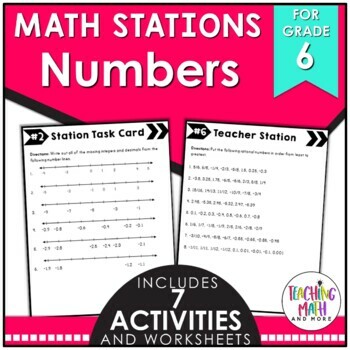 I hope these activities help you to jump start into Rational Numbers. Remember to actively engage your students in the learning process and they will own their knowledge!